Federal Anti-Kickback Exception Attorneys - Oberheiden, P.C. Both Stark Law and the Anti-Kickback Statute offer protection for certain financial joint ventures between physicians and business owners. Under the Anti-Kickback Statute, this is the small investment safe harbor, and under the Stark Law it is the indirect compensation provision. This article briefly introduces the laws and their exceptions. The federal Anti-Kickback Statute at 42 U.S.C. 1320a-7b prohibits knowingly and willfully soliciting or receiving any remuneration directly or indirectly, overtly or covertly, in cash or in kind, in return for referring a patient to a person, or furnishing or arranging for the furnishing of any item or service which is payable by Title XVIII (Medicare) or Title XIX (Medicaid) or, in return for purchasing, leasing, ordering, or arranging for or recommending, purchasing, leasing or ordering any goods, facility, service, or item payable under Medicare or Medicaid. 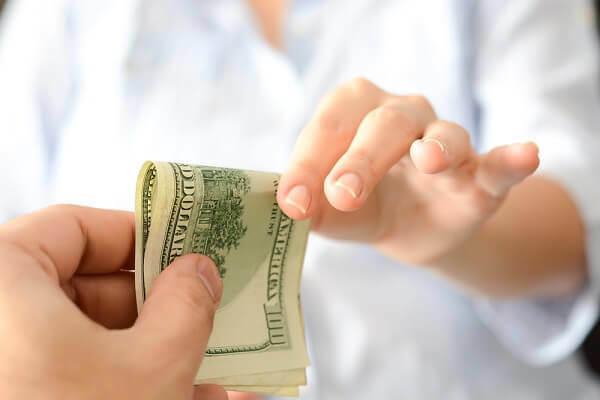 A violation of the federal Anti-Kickback Statute constitutes a federal felony punishable by a maximum of $ 25,000 and or imprisonment up to five years or both for each count. In order for an accused to be held accountable, the government must prove intent, but since the enactment of the Patient Protection and Affordable Care Act, criminal liability no longer requires evidence of specific intent to violate the law. The federal Physician Self-Referral Law (“Stark Law”) at 42 U.S.C. 1395nn et seq. prohibits physicians from referring federally funded patients for certain defined “designated health services” to an entity in which the physician or an immediate family member has a financial interest. Among the most common designated health services — and as such excluded from referrals — are clinical laboratory services, radiology, physical/speech/occupational therapy, durable medical equipment, outpatient prescription drugs, and inpatient and outpatient services. An entity is considered to be furnishing designated health services if it is the person or entity that has performed services that are billed as such services or has presented a claim for federal benefits for such services, 42 C.F.R. Sect. 411.354(c)(1)(ii). A financial relationship includes both ownership or investment interests as well as compensation arrangements, see 42 C.F.R. Sect. 411.354(b)(1). Joint ventures between physicians and healthcare companies are often structured in compliance with the so-called small investment safe harbor. Safe harbors are recognized exceptions to the anti-kickback statute, which otherwise prohibits any remuneration between physician and company in exchange for referrals. To qualify for small investment safe harbor status, an arrangement is measured by eight elements. Among these elements is the expectation that no more than 40% of the value of any class of shares may be held by referring physicians or are in a position to refer. Similarly, no more than 40% of the gross revenues of the syndicated business may be generated by those who are investors. Further, the return on investment to the physician must be proportionate to the invested capital and preferential treatment of some shareholders over others is prohibited. Whereas the small investment safe harbor is an exception to the Anti-Kickback Statute, the indirect compensation exception serves as an exception to the Stark Law. This exception provides that the Stark Law is not implicated if the compensation received by the physician is fair market value for services or items actually provided and not determined in any way that takes into account either the volume or the value of referrals made by the physician. Such an arrangement must be set out in writing, signed by both parties, and specify the services provided. Compliance with an exception is mandatory to avoid Stark Law violations. Penalties include non-payment for provided designated health services, recoupment requests, and fines of up to $ 15,000 per false claim, see 42 U.S.C. Sect. 1395nn (g)(1)-(4). Although it occurs less frequently in practice than in theory, the Office of Inspector General or the Secretary of the Department of Health and Human Services can issue advisory opinions for proposed arrangements under Stark Law, see 42 U.S.C. Sect. 1877(g)(6)(A). Physicians or healthcare businesses interested to learn more about these exceptions or ways to structure healthcare joint ventures should contact Oberheiden, P.C. and its team of former federal healthcare prosecutors and experienced counsel. Nick Oberheiden advises physicians and business owners on how to legally structure complex healthcare transactions. He does so with the experience gained in successful representations of clients facing civil and criminal healthcare investigations. Dr. Oberheiden has achieved no civil and no criminal liability results for physicians and healthcare executives in proceedings before the Office of Inspector General (OIG), the Department of Health and Human Services (HHS), the Department of Justice (DOJ), and the Department of Labor (DOL) and has defended Stark Law, False Claims Act, and Anti-Kickback cases across the country.